The Fellowship of Christian Firefighters International presently has members spread out throughout the state in Dillingham, Anchorage, North Pole, and Delta Junction. 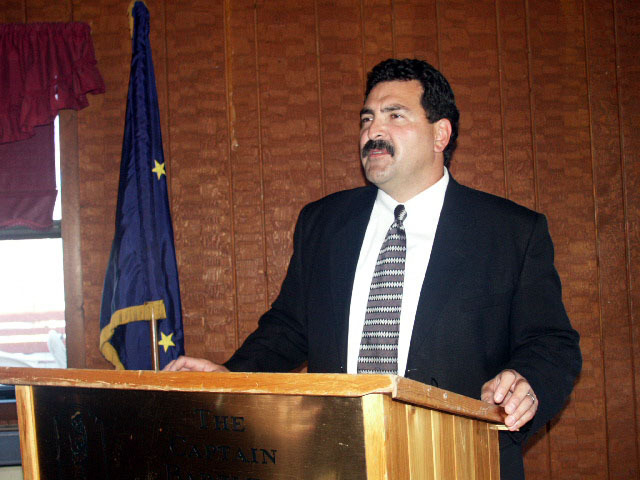 In September 2002 FCF members hosted a Fallen Firefighter's memorial breakfast in Fairbanks. Capt Raul Angulo of the Seattle, Wa Fire Department was the guest speaker. We had 21 in attendance, including all of the local mayors, members of the State Legislature and representatives form the Governor's Office. We plan to host this breakfast annually. This past spring FCF Director Gay Reynolds and his wife Sue vacationed in Alaska and it was truly a blessing to spend time with them playing tour guide and taking Gay to visit some of the local fire departments. 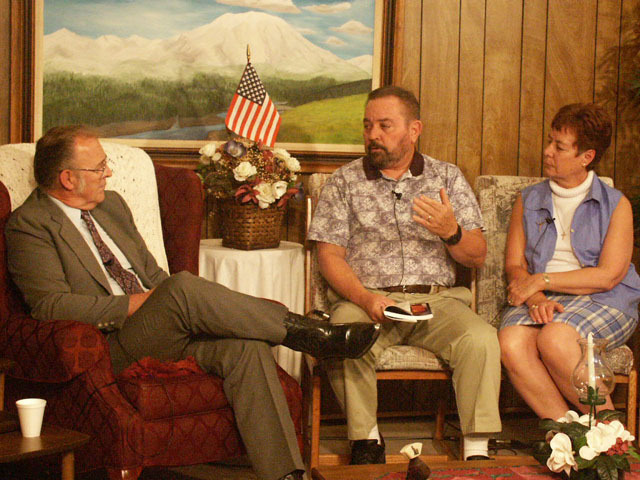 Gay and Sue were able to appear on KJNP (King Jesus North Pole) TV 's "Closing Comments" program and share the message and vision of FCF. Gay & Sue Reynolds on "Closing Comments"